The Gardens at the Greyhound Pub, Midhurst, West Sussex are beautiful and well kept. There is a patio area which is lovely for alfresco dining away from the world. 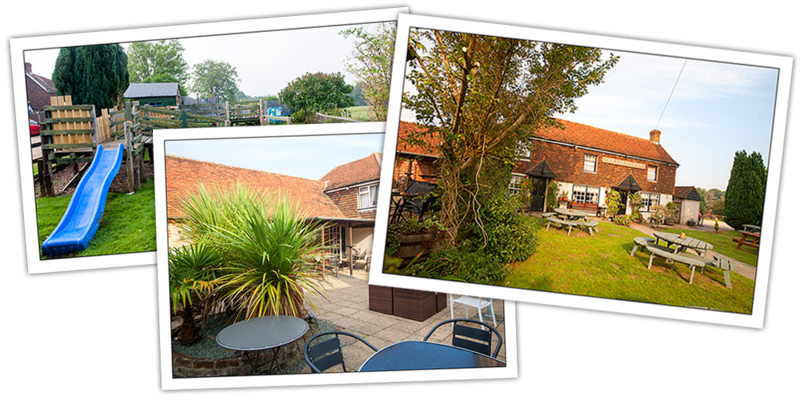 The front garden has a great outlook towards the South Downs and is great for eating in or just to enjoy a great british pint. There is a wooden playhouse, climbing area and slide. These are all enclosed and fenced off. At the top of the rear garden is a garden terrace from the conservatory with seating for diners in the hot summer days.